I can’t quite remember how I came across this fascinating documentary but I’m very glad that I did. 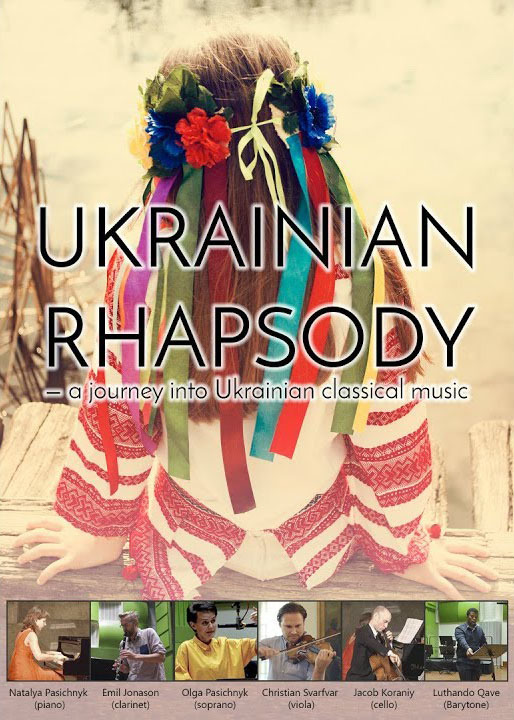 Ukrainian Rhapsody is a ‘journey into Ukrainian classical music’ initiated by pianist Natalya Pasichnyk and her soprano sister Olga Pasichnyk. The documentary looks at Ukrainian composers under the Soviet regime, many of whom had their music suppressed, some where dispatched to the Gulag, while others were murdered by the secret police, Mykola Leontovych, for example. It’s well worth 45 minutes of your time. For more on Ukrainian classical music see: a crash course in the history of Ukrainian classical music. Below is A choir piece by Mykola Leontovych, written days before his murder. Hi Alexandra, glad you enjoyed the video. I smiled, I cried. Truly moving. I will show this to the kids here in our small Ukrainian community in Phoenix. Thank you from the bottom of my heart. My soul is soaring with Ukrainian pride. Hi Chrystia, so glad you enjoyed the post, I also found the documentary very moving. Hi Charita, I haven’t heard of the Ukrainian Art Song Project but will check it out now, thanks! For me, this beautiful and moving video answers the question “Why are there so few world renowned Ukrainian composers of classical music?”! My heart and soul cries out in sorrow for the tragic actions perpetrated by the soviets against the Ukrainian culture and its people, particularly its talented composers, musicians and writers. You have done a marvelous job opening our eyes and ears to the beauty and deeply emotional aspect of Ukrainian classical music. Thank you. Such a wonderful, but oh so sad, story of Ukrainian composers, I recalled the time when I was taking piano lessons and got to play compositions by many of the composers mentioned. Of course, when you are 10 or 12 years old it does not have the same impact as it does today. Again, thank you. Going back to Pavlo Hunka, It is superbly done. I have four albums and they are a treasure. Deeply moving, informative and extraordinarily well done mini survey of Ukrainian classical music. I especially enjoyed seeing and hearing performers from other countries give such beautiful renditions of Ukrainian classical music. It attests to the fact that Ukrainian music has universal appeal and deserves to be heard the world over. Knowing the history of our Ukrainian peoples oppression and suffering plus the attempt to destroy our Ukrainian culture and identity it was extremely touching to my soul to see this very informative and fabulous documentary. I have been deeply moved by this lovely musical journey into the Ukrainian soul, and very appreciative for those who put this together. I live in Brazil (very distant from the Ukraine immigrant communities), but have been to Ukraine various times since its Independence, I will share with many friends – music lovers from around the world.